Find out what our experts have to say about Suzuki Gixxer SF! The Suzuki Gixxer SF is the most affordable full-faired motorcycle on sale in India. It isn’t just the styling that makes it a winner in our books as the performance is also impressive. The Gixxer SF really comes in its element on mountain twisties where it ravishes corners and pastes a wide grin on the riders face. A thin sales and service network further limits its reach. The least priced variant is Suzuki Gixxer SF SP priced at Rs. 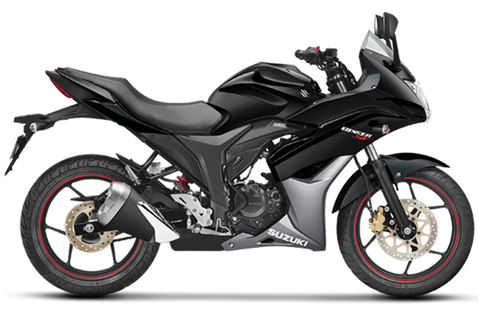 1,09,201 and the most priced variant is Suzuki Gixxer SF SP ABS priced at Rs. 1,21,809. Choose the Suzuki Gixxer SF which fits the bill of you.